Although cannabis has been approved for the treatment of seizures associated with Lennox-Gastaut syndrome (LGS) and Dravet syndrome in patients 2 years and older, its use in other conditions, such liver disease, is an unknown field. 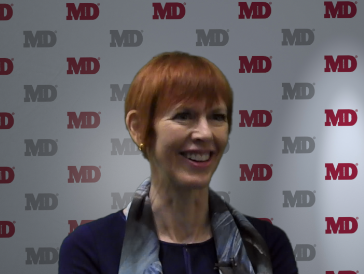 In an effort to chart the many unanswered questions surrounding its use in patients with liver disease, Norah Terrault, MPH, MD, director of the Viral Hepatitis Center at University of California, San Francisco, sat down with MD Magazine® while at the 2018 American Association for the Study of Liver Diseases (AASLD) Liver Meeting, November 9-13, 2018, in San Francisco, California. Terrault: “It’s a very prevalent behavior now—I think partially because there are laws that vary by state as to access to both medicinal cannabis, marijuana, and now many states also have recreational marijuana that’s available. I see marijuana, but it’s actually the cannabis products, and there’s now many of them. There’s THC specific, CBD, and then there’s even more, so there’s about 60 different cannabinoids. It’s a very heterogenous product. I tell my patients we have pretty limited data to help us in terms of informing them about safety, health benefits, and health risks. Certainly, it’s an active area of research, but [we] recognize that it’s a natural product, and because it’s a natural product, we are not always clear exactly what is in that product. I treat [cannabinoids] like any other herbal supplement, and so when patients ask if they should use the latest and greatest thing they saw on the internet for their liver, I tell them I don’t think that is a great thing to do because we don’t know whether that herb is going to be pure, or whether there are going to be contaminants in it. Many of [these herbs] have not been studied in the context of individuals with liver disease. I take the same tact with cannabis products. We really do not have a lot of data about their safety, and we do not know about their purity. There could be things in them that could be beneficial, but [there could also be things that could be] potentially harmful. Patients should go into it with the knowledge that there’s limited data to help us. In general, I’m advising people to treat it as an unknown. [As physicians], I think we need to counsel our patients [on the fact] that there are potentially some harms. We cannot assume that because it’s natural and [because of] all the things we have seen on the internet that it’s going to be a beneficial product. When [patients] are using [cannabis], I think they have to recognize there could be some potential harms. I’m trying to be openminded [though] because many people do want to try it and see if there are some health benefits for a particular health problem; but, from the point of view of liver disease, we have less information about potential benefits versus harms. There is some data in the hepatitis C virus arena. [That area] is probably where there actually are some human studies and publications. For individuals who have hepatitis C viral infection who are using daily cannabis, we have prior studies that suggest those individuals were at higher risk of fibrosis progression, and there are some animal data to support that. We know that when the liver develops fibrosis, there is expression of CB1, CB2 receptors, and so the cannabinoid receptors are expressed on fibrotic tissue. Some of them are profibrogenic, and some of them are antifibrogenic, and depending on the cannabinoid product, those receptors could be affected differently. In a given individual with this variable product that we have of marijuana, it may actually be a potential risk for a profibrogenic effect, and so you could have accelerations. I think the cautious thing to do is tell patients, ‘If you’re going to use marijuana products, don’t use them daily because the data is most consistent for daily use of marijuana. [For] less frequent use, the studies don’t suggest that there is a relationship. My counseling to patients is, first of all, know that it’s an area where we have very limited data, and if you feel you are getting a benefit from its use, then from the liver standpoint—if you have an underlying liver disease—I would advise [the patient] not to use it daily. Those are the 2 main messages that I give to patients., and that’s the counseling I give them. I think the other area where my physician colleagues often have great discussions is around this area of patients that have advanced liver disease and are now being considered for transplant. Will their use of cannabis impact their ability to get on a waitlist? That’s when we have to recognize that there is a lot of program-by-program variation; it varies by state, and it varies within states on the program’s policy. In California, where we have very liberal laws regarding use of marijuana, our transplant program no longer considers use of marijuana to be a reason individuals are prohibited from being enlisted. There is no penalty in terms of their use of marijuana. We do still test for it, so we know if people are using it, and we then counsel them on what we think are the potential risks of them being on marijuana; but, it doesn’t limit anybody for being considered for listing. There are states where marijuana is not legal in any form, and where they prohibit the use of marijuana. If individuals test positive for it, they will either not be able to be listed [on the liver transplant registry], or if they use marijuana while on the list, they could be taken off the list.